Casher – Soft for Android 2018 – Free download. 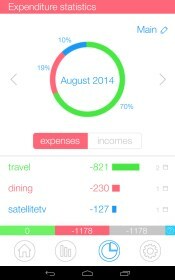 Casher – Friendly budget app. 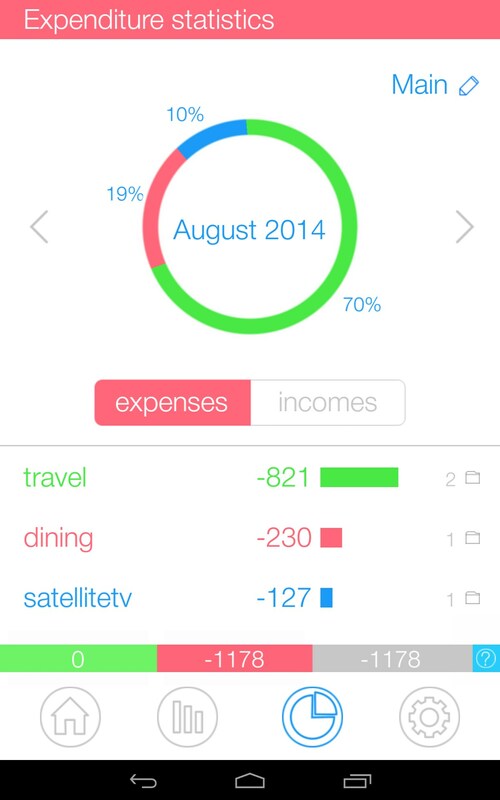 Casher for Android is a visually based personal finance manager. The interface is modern, inviting and highly developed. Casher aims to be your one stop, personal financial adviser. 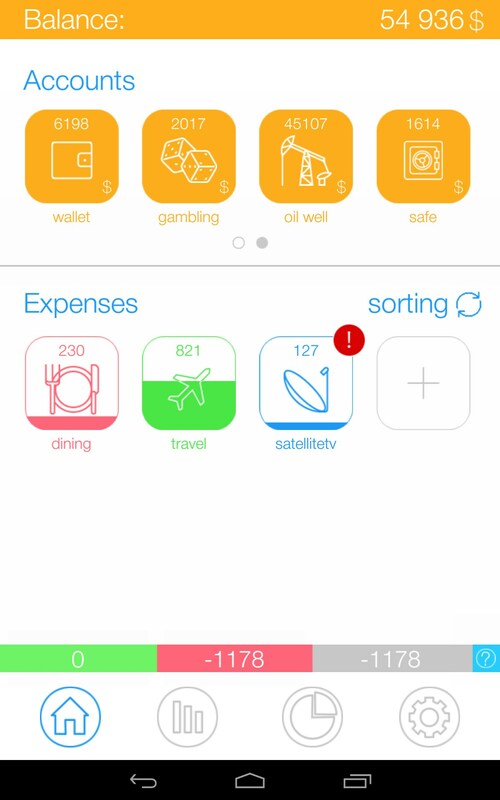 The menus are visually based, with large, colorful icons representing the different expense categories and income sources. Just tap on a category's icon to open up a dialog box. 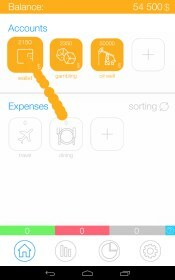 From there, you can input the account name and set spending limits or expense budgets for the selected item. 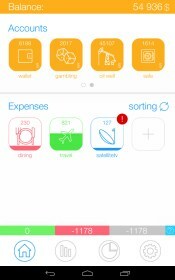 Just repeat the process for every monthly expense you have and populate your interface. Income sources appear on the top third of the screen while expenses appear on the bottom two thirds. The app is nicely laid out and highly intuitive. Everything has a nice flow to it, and I loved how they maximized the use of the screen space. I love the size of the icons and text because it's stylish, yet large enough to read easily. The app also features an array of statistical outputs, like colorful graphs and charts that offer visual feedback on how your money is flowing. The only thing I missed, was I didn't see a way to add recurring income, or even recurring payments. 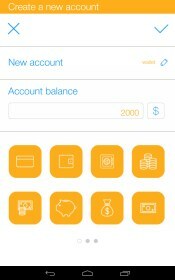 However, recording expenditures is as easy as dragging your finger from one of the money accounts to the appropriate expense account below, then set the amount spent, and the money transfers from your account to the appropriate expense account. Unfortunately, the app only functions in portrait mode. Casher is a nicely executed personal finance app. 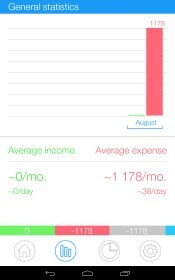 I think it could be time consuming to setup, however, once you get things going, it offers a host of easy to track data that will help keep your budget under control, and probably keep you depressed about your finances.